This kit is for Boat lettering registration decals. Use on PWC’s too! These boat lettering decal kits resist fuel, fading and scratches. They are UV Coated for protection from the sun and meet the US Coast Guard guidelines when installed correctly. This Number kit is specially designed for Inflatable boats and RIBS. These high tack adhesive decals will adhere to Hypalon™ or PVC Inflatables. They can be applied directly to the rubber side of the boat. No plastic plate required. Size is 3 1/4 Inch and includes 4 sets of letters A-Z and numbers 0-9, for a total of 146 decals. • Use directly on Hypalon or PVC Inflatables. • Letter & Number kit for both sides of vessel. 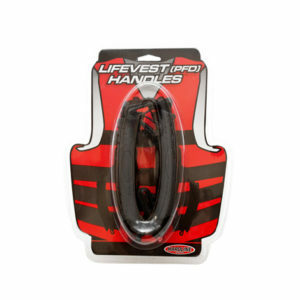 • Can also be used on boats or personal watercraft (PWC). • Made from 4mil outdoor vinyl with super-stick adhesive. • Solid color in block font. • Made from Lead free inks. • Choose a color combination that contrasts with the background of your application area. *If your inflatable is brand new it is suggested you inflate the vessel and put it out in the sun for a few weeks for the PVC or Hypalon to finish “Gassing”. Do this before applying any decals directly to the inflatable. Custom Build it For Me! Let Hardline Products® mount and space your Registration stickers for the easiest and quickest installation on your vessel. Your registration stickers will arrive pre-arranged on application pre-mask ready to install on your boat or PWC. Just peel and apply. Includes decals pre-arranged for both sides of your boat. Just click the box above and fill in your registration number (found on your state registration papers) Please note there are no returns on "Custom Builds"